Adidas have placed a renewed focus on the fitness technology market in recent months. With the possible imminent arrival of an Adidas activity tracker, as well as a spate of new high tech running shoes, led by the Adidas boost range. The latest product of the fitness manufacturers conveyor belt will be the Adidas Springboard running shoes, which the company have been teasing for some time. The Springboard’s main point of difference will be their unique 16 blade soles. As opposed to a more regular running shoe sole, the introduction of the 16 blades will add dynamism and flexibility, providing a more barefoot feel. Alongside the more natural feel, the blades are rumored to deliver better running performance, with a particular point made around the speed uplift that they can deliver. Adidas have made the bold claim that these running shoes make runners ‘run more like a gazelle’. As opposed to remodeling your entire running technique, the angle is more focussed around the way the differently lengthened blades can combine to mimic the way a gazelle’s foot flexes. These trainers continue Adidas’ current trend towards unusual running shoes. The Adidas Boosts started the trend by introducing highly dynamic soles which recycle the energy from each stride. Whilst they are engineered to provide efficiencies, these new Springblade’s are all about speed. 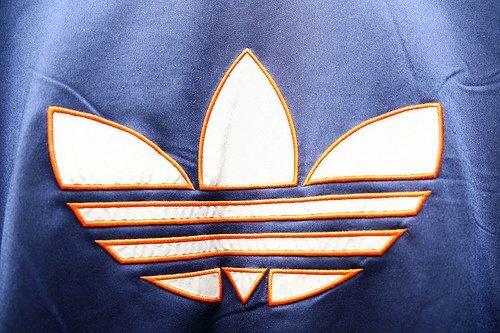 The pictures in this article represent the first of the full trainers, although the unique blade design has been revealed at previous Adidas press events. 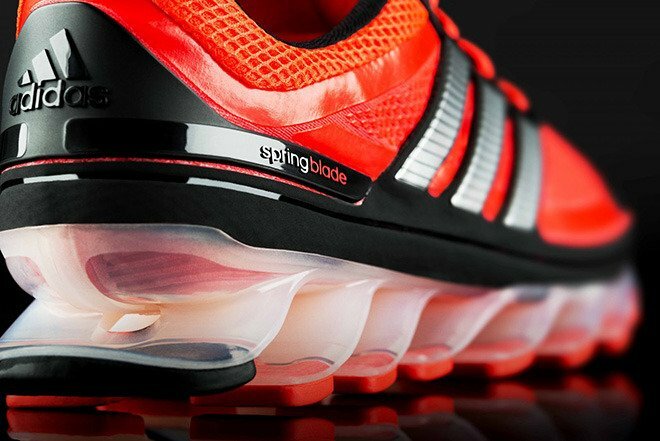 The Springblades will be priced at around £115, positioning them at the middle/top-end of the running shoe market. Adidas believe that the shoes unique ability to mould themselves to each runners unique stride will give the shoes a wide range of appeal across different running demographics. The running shoes will launch on 1st August 2013, and Adidas are hoping to make a big splash with the launch. We will aim to get a full hands-on review completed ASAP.